A new version of the Jonzip song, The Battle of George Square was recorded at Malloch Sound Studios, on 9th January 2019. A video to promote the song was shot on a bitterly cold day, 13th January in George Square, Glasgow. 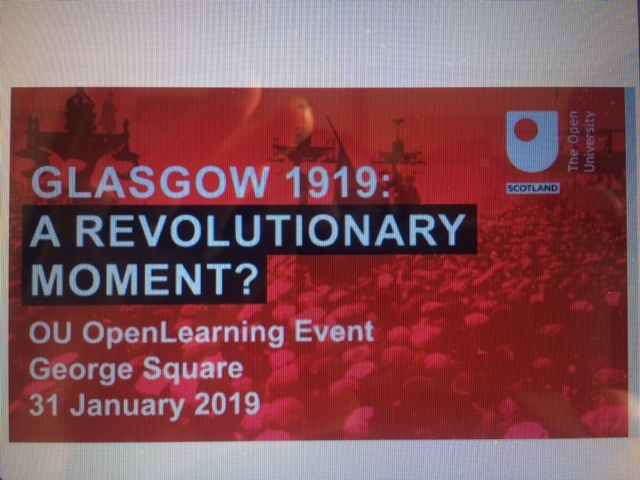 The song will be performed at Noon on Thursday 31st January 2019, in George Square, 100 years after the Red Flag was raised there. Come along and join the fray! Jonzip, St Lukes, Glasgow – This Friday 1st June!